Paul D. Miller aka DJ Spooky and data artist Greg Niemeyer brings you the world premiere of Quantopia: The Evolution of the Internet – a multimedia hip hop concert experience about the history and exponential growth of the internet. Experience a multi-sensory journey illuminating ever-present issues of inclusion and exclusion, echo chambers and small-world phenomena. This new work is commissioned by the Internet Archive with funding from the Hewlett 50 Commissions Program and presented in association with YBCA. 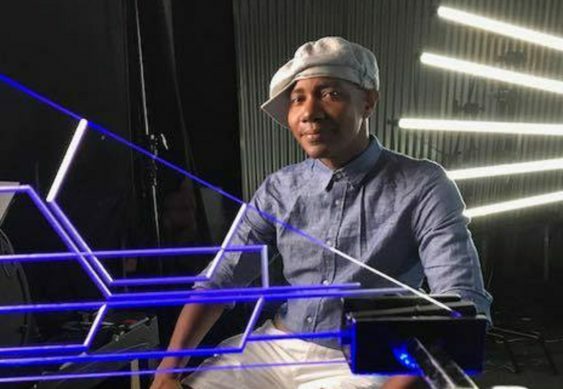 DJ Spooky will perform live loops and layers of sound, alongside musicians from Classical Revolution and San Francisco Girls Chorus, enveloped by data visualization and interactive video design by Greg Niemeyer, MEDIUMLABS and Roger Antonsen. Sorry! The contest for Quantopia: The Evolution of the Internet | YBCA Theater has ended.